Rare St Kilda Card Realises £180. A rare card, posted from the isolated island of St Kilda, 40 miles off the western coast of Scotland, realised £180 in the Warwick and Warwick auction on March 21. St Kilda was inhabited until 1930, when the remaining 36 inhabitants emigrated to the Scottish mainland. In Edwardian times the population was steady at between 75 and 80 and a number of postcards of the village were produced by mainland publishers and shipped to the island for use by the locals and the occasional visitor. 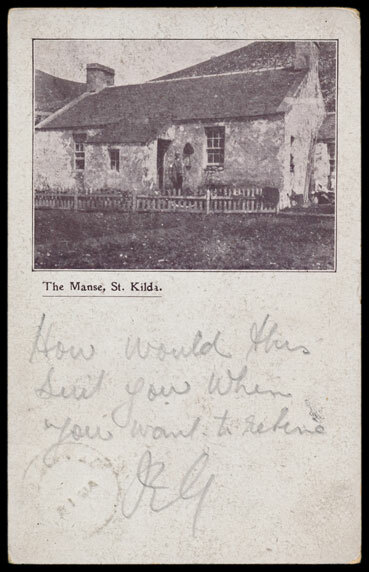 Lot 182 was a vignette card showing The Manse, which had been built in 1830, when a new church was built at the eastern end of the village. This was a rare view card of St. Kilda, but what made it even more desirable was that it had been postally used from St. Kilda in 1913. It bore the message "How would this suit you when you want to retire? RG." There was a strong section of Guildford area cards in the auction and these were very popular with the bidders. 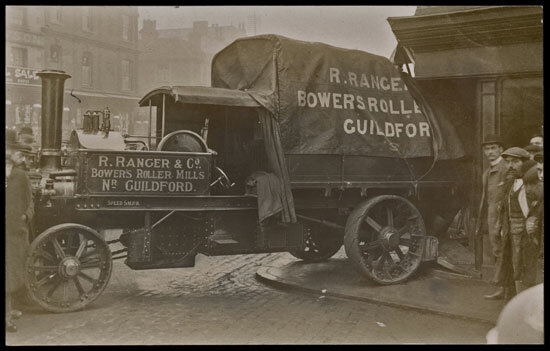 The main collection, estimated at £1,100, realised £2,640 and 2 dramatic RPs of an accident to a steam lorry made £114. Percy Lloyd was the local Guildford photographer and a collection of 500 of his local topos, estimated at £300, realised £1,740. Yorkshire was also well represented and a collection of Redcar in 2 albums, estimated at £330, eventually made £1,200, after intensive competition. An attractive collection of 650 Welsh cards included smaller settlements. Estimated at £320, it made £1,200. In the artists section, Outhwaite’s “Elves and Fairies” set of 6, in original envelope, achieved £66 and a collection of 380 comics by Lance Thackeray realised £780. The Rural Life section was very popular and included many good social history RPs. 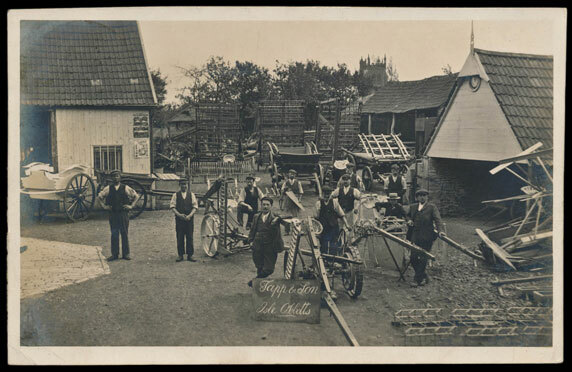 The premises of these agricultural machinery makers were at Isle Abbots, near Taunton, in Somerset. The card made £48 A collection of 39 tractors made £750. Amongst the “cheap and cheerful” lots, 3,500 lighthouses sold for £690 (20p each) and 1,000 actresses made £252 (25p each).